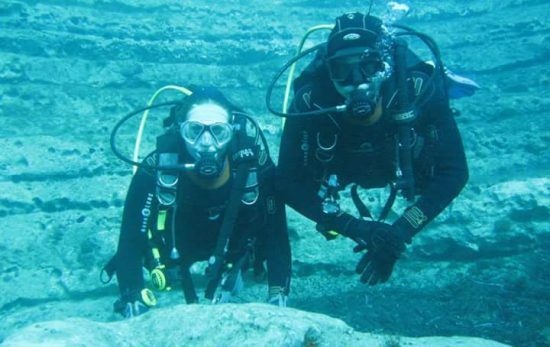 Guest blogger, Alexandra Dimitriou, concludes her favourite experience teaching scuba diving in this post. Jaquie left the dive center. 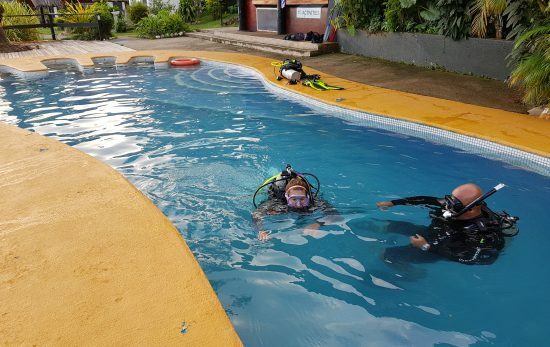 When she returned the next day she joined a couple who had already completed their knowledge development and confined training for their open water training dives. It was good for her to become part of a team, so we prepared our equipment and headed out for our first open water adventure. True to my prediction, Jacquie was a golden student. 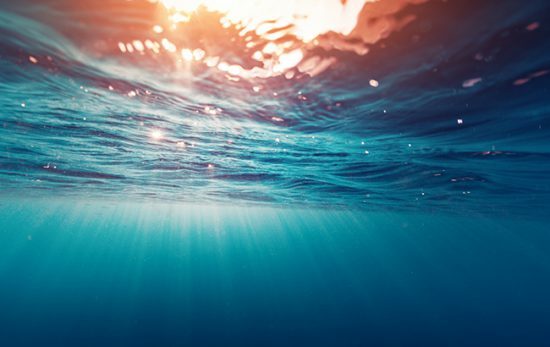 Each skill that was asked of her in the open ocean was completed fluidly and without issue. Her eyes were no longer huge fish bowls of fear. Her breathing had a yoga instructor’s calmness. I smiled. She smiled. She moved in the water in slow confident fin cycles and you could see the enjoyment in every flick of her fins. Jacquie completed the rest of her course with an eerie confidence that made me so proud. She had conquered her fear of the ocean and she was hungry for more. She had overcome a barrier and we had done it together. Nothing can make an instructor glow with satisfaction more than a student like Jacquie. She is a friend yes, but this teaching experience bonded us on a level that was not unlike sisterhood. She now comes to the dive center pretty much every day (her office is only around the corner). 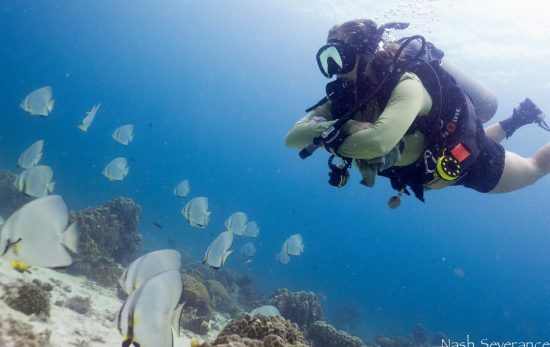 She is addicted to that damp, salty neoprene smell that we dive professionals all know and love so well. She is planning her advanced course, she is planning her rescue course – I don’t think she will ever have dry hair again and I love it. This is why I became an instructor. This is why I cannot see myself ever being anything else. Have you ever had a student like Jacquie? 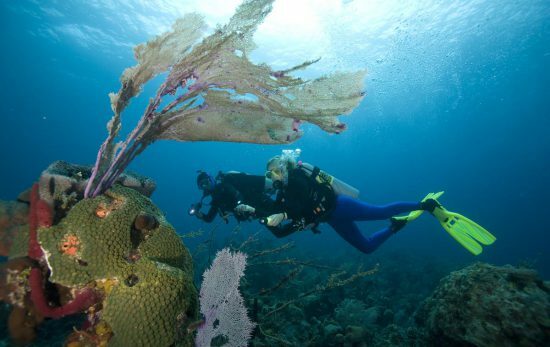 Have you ever helped someone get over the fear of the water? What has been your most positive teaching experience? Who has been the most satisfying student to certify? 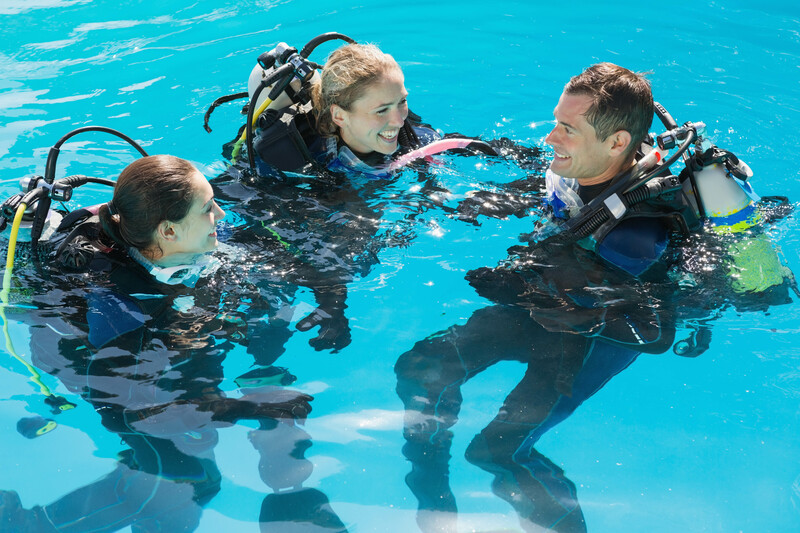 What makes you adore being a PADI® instructor?